Great breakfast. Spacious room and good facilities. Everything was good, we got upgraded for free as well which was nice to find out. Good location and good value for money. Lovely layout with mezzanine level. Great central location. Very quiet apart from city sounds which is not in your control. Fab complimentary breakfast too. Very friendly staff, always there to help. Perfect prime location and would definitely stay there again. Bargain! Complimentary 'grab and go' breakfast was a great touch, reception staff were incredibly helpful and helped print some documents off for me. Great location. Liked the cleanliness and the grab and go breakfast. Staff were very friendly and welcoming. 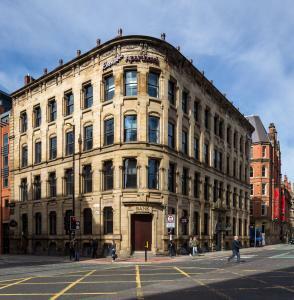 Lock in a great price for Roomzzz Manchester City - rated 9.1 by recent guests. 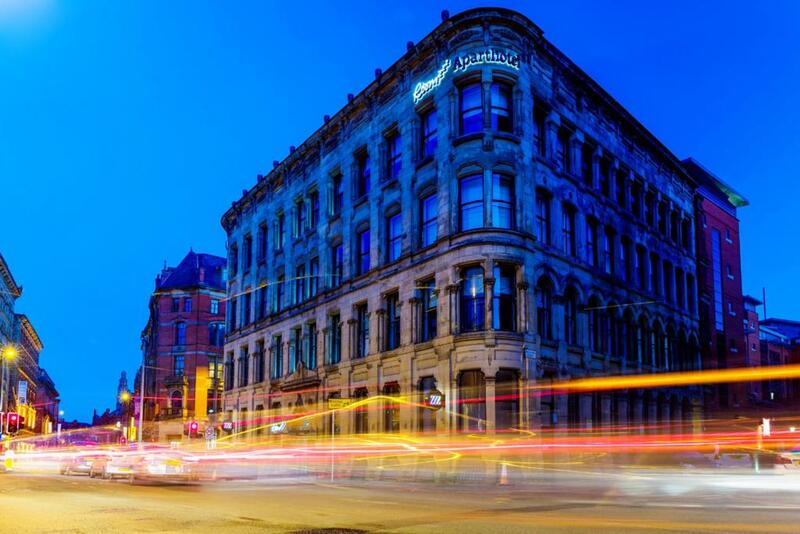 The luxury Roomzzz aparthotel is in Manchester centre, just 4 minutes’ walk from Piccadilly Gardens. The stylish apartments have free Wi-Fi and free local telephone calls. 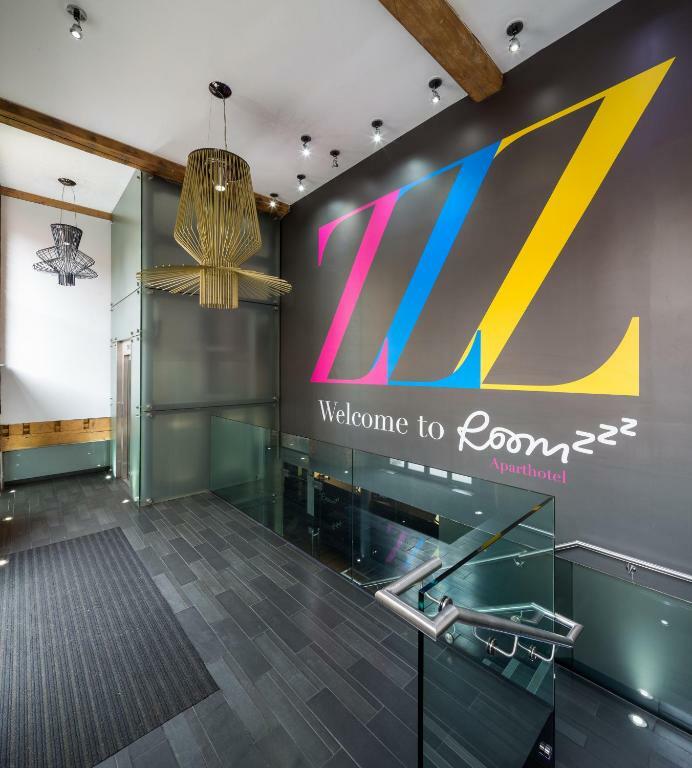 Roomzzz Manchester is only a 10-minute walk from Manchester Piccadilly Rail Station and the Manchester Central Conference Centre. 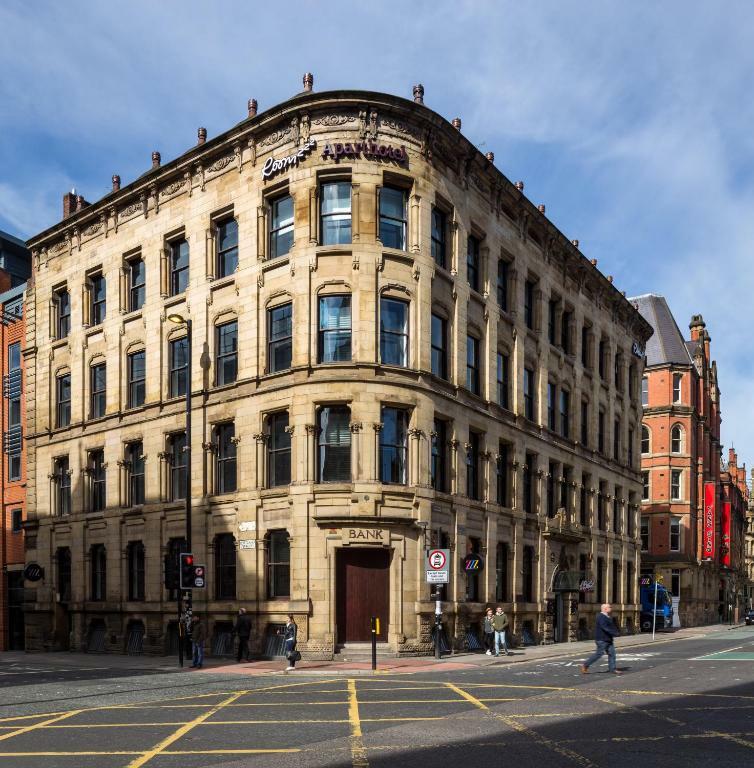 The shops of Deansgate are within a 10-minute walk. The air-conditioned apartments have luxury beds and a stylish bathroom with a rain shower and White Company toiletries. The living areas feature a flat-screen TV, comfortable seating and a work desk. 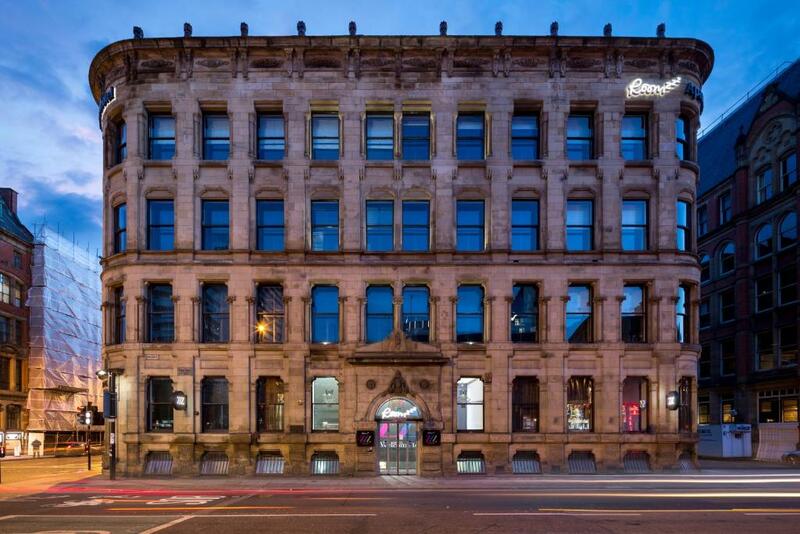 The building was once a Victorian cotton warehouse, and it has many original features. There is a 24-hour reception service. All guests will have access to a Grab & Go breakfast, daily, which includes freshly baked pastries, hot drinks, fresh fruit and fruit juices. The modern kitchens each have a dishwasher, fridge/freezer, microwave and hob. Laundry and ironing facilities are also available, and tea/coffee facilities are provided. Roomzzz Manchester City has been welcoming Booking.com guests since 23 Dec 2009. When would you like to stay at Roomzzz Manchester City? Smart studios seek the perfect balance between comfort, style and practicality. Featuring a high-gloss white kitchen pod with integrated appliances and an LCD TV. A Grab & Go express breakfast is also available. Please note that some of the Smart Studios are located on the lower ground floor and come with illuminated light wells. Spacious studio with a larger open-plan living area. A Grab & Go express breakfast is also available in the lobby area each morning. Luxury Studios include a plasma TV and a fully-equipped kitchen pod with stainless steel appliances. A Grab & Go breakfast is also available from reception each morning. This includes fresh fruit, freshly baked pastries, hot drinks and fruit juices. These Loft Suites offer split level open-plan living areas with comfortable seating and a coffee table. There is also a kitchen pod and a shower room. Some suites are available with baths and their own plasma TV. The Grab & Go breakfast is also included which consists of fresh fruit, freshly baked pastries, breakfast muffins, hot drinks and fruit juices. A child up to two years of age can be accommodated free of charge in a cot. House rules Roomzzz Manchester City takes special requests - add in the next step! Roomzzz Manchester City accepts these cards and reserves the right to temporarily hold an amount prior to arrival. Rate includes a Grab & Go Breakfast. A security deposit of GBP 20 is required upon arrival for incidentals. This deposit is to be paid on a credit or debit card and is fully refundable upon check-out and subject to a damage inspection of the accommodation. The hotel does not accept cash payments. The credit or debit card used to make or pay for the reservation has to be presented on arrival. The room had no windows and even with air con on lowest it was far too hot in the room which meant practically not being able to sleep. Pillows uncomfortable too hard. Room above noisy you can here every footstep through the ceiling and this went on all night till 4am. Would not stay in basement apartments again. The toilet roll, can just tell it is cheap and breaks very easily but very minor detail.. no biggy! Staff weren't very welcoming, bed sheets were slightly dirty, hotel was not good value for money. good, fast and just right! The air conditioning unit was quite noisy and when switched off tended to bump with the draught. Cold room air on didn’t work or heating windows didn’t open to let fresh air in and the room wasn’t clean hair in bath and dirt also in the shower. Reception staff didn’t look like they wanted to be at work either not helpful and quite rude.